This column is the first in a regular series covering the Council of Science Editors’ email distribution list, in which members ask and answer one another’s questions. It’s a key member benefit and emphasizes the value of our expertise and experience—and provides a platform for members to help fellow members. 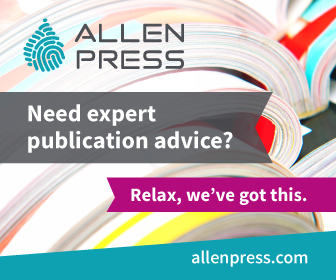 Thanks to Tony Alves for tackling this issue’s question on how to handle requests for multiple first and last authors. We have published papers with 2 individuals identified as “first author” and/or 2 individuals identified as “senior author” or “last author.” The relevant footnotes usually state “these authors contributed equally to this work.” We recently received a paper in which 4 first and 4 last authors have been identified. This seems excessive. I am interested to learn how other journals have handled this situation. Are there any policies on how many first and last authors can be identified? 1. The notion of using author order as a way to indirectly signal the level of contribution seems problematic. Explicit author recognition using the CRediT taxonomy (http://docs.casrai.org/CRediT) seems like the way to go. What Does Sequence Really Mean? 3. That number does strike me as excessive. I’ve seen plenty of examples of the type of footnote you describe, indicating some sort of equal contribution or co-senior authorship, but “first” and “last” really should refer to the sequence alone, and trying to have eight different authors occupy the lead position in a collaborative effort makes the idea of “first” or “lead” essentially meaningless. It may just be that different funding agencies for these authors each require that the author have some senior position on the work being funded, and that they’re all trying to artificially milk the most out of a single paper. I’m not aware of current journal policies that impose a specific limit on this, but it’s worth considering. On a related note, I have seen examples of multiple authors wanting to be the corresponding authors on a single paper, for a similar reason (“I can only get the grant if I’m listed as a corresponding author…”), and have seen journal policies specifying that there can be only one corresponding author. 4. I agree with Richard and Ingrid. This one seems a bit excessive. I can’t really think of any journals [that] have proscribed limits on the number of first or last authors but I know that many journals ask authors to declare their level of contribution. Here’s an example http://aacrjournals.org/content/authors/editorial-policies (scroll to bottom of page) and the taxonomy to which Richard is referring (http://docs.casrai.org/CRediT) does this as well. 5. 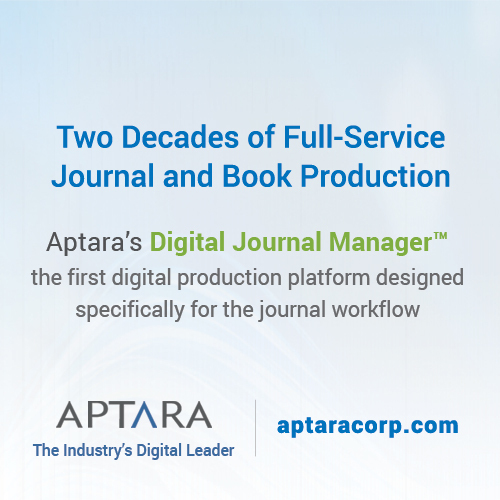 On request from the submitting author, our journals allow an “equal contribution” designation for two (and only two) authors of a manuscript. Their position in the author list isn’t relevant. We do not allow multiple corresponding authors, however. 6. The Journal of Pediatrics has a similar policy as John’s journal—1 corresponding author and an option of including the footnote of “contributed equally” for a maximum of 2 authors, regardless of where they are located in the author list. How about the ICMJE Guidelines? 7. Can we just ask authors to give authorship criteria using Uniform Requirements for Manuscripts Submitted to Biomedical Journals (http://www.icmje.org/icmje-recommendations.pdf) to gives uniformity to assigning authorship criteria? Authors should meet at least one criterion from conditions 1, 2, and 3. We usually insist authors use the above model even if they have used their own terms to give authorship. 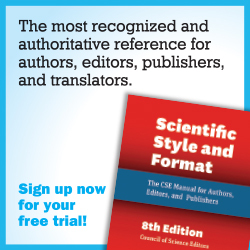 Authorship credit should be based on 1) substantial contributions to conception and design, or acquisition of data, or analysis and interpretation of data; 2) drafting the article or revising it critically for important intellectual content; and 3) final approval of the version to be published. Authors should meet conditions 1, 2, and 3. When a large, multi-center group has conducted the work, the group should identify the individuals who accept direct responsibility for the manuscript (Flanagin et al., 2002). These individuals should fully meet the criteria for authorship defined above and editors will ask these individuals to complete journal-specific author and conflict of interest disclosure forms. 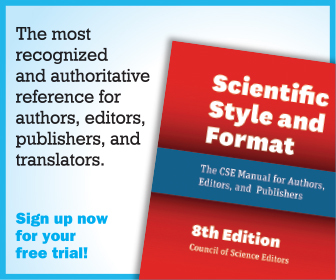 When submitting a group author manuscript, the corresponding author should clearly indicate the preferred citation and should clearly identify all individual authors as well as the group name. Journals will generally list other members of the group in the acknowledgements. The National Library of Medicine indexes the group name and the names of individuals the group has identified as being directly responsible for the manuscript. Acquisition of funding, collection of data, or general supervision of the research group, alone, does not justify authorship. The Journal of Neuroimmune Pharmacology requires one or more authors, referred to as “guarantors,” be identified as the persons who take responsibility for the integrity of the work as a whole, from inception to published article, and publish that information. Increasingly, authorship of multi-center trials is attributed to a group. All members of the group who are named as authors should fully meet the above criteria for authorship. 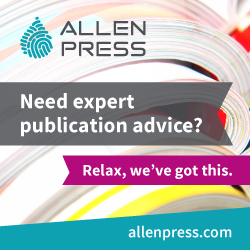 The order of authorship on the byline should be a joint decision of the co-authors. Authors should be prepared to explain the order in which authors are listed. 10. I just looked up the update of 2015 in ICMJE recommendations. As mentioned by Kelly, the aacrjournals.org is using the criteria given in 2007; same as we are. We now want to start using the 2013 ICMJE criteria. Is the interpretation given below correct to use in the journals and display on the journal website? As used in the Journals: Authors should meet at least one criterion from groups 1, 2, and 3.
a) final approval of the version to be published. For use in the Journals: Authors should meet at least one criterion from groups 1, 2, 3, and 4.
a) agreement to be accountable for all aspects of the work in ensuring that questions related to the accuracy or integrity of any part of the work are appropriately investigated and resolved. An Interesting Algorithm to Try? 11. This doesn’t help the OP, but as far as resolving these situations at the laboratory level, I am a fan of this algorithm for deciding authorship and order of authors: http://kosslynlab.fas.harvard.edu/files/kosslynlab/files/authorship_criteria_nov02.pdf. 12. That is a very impressive document/algorithm! It would be interesting to know if this algorithm allows for multiple first authors (e.g., anyone who accrues over 600 points is a first author) or if it is strictly “the highest number of points gets the first authorship position” even if two people only have a 1 or 2 point difference! Authorship and Contributorship: Who Did What?